Especially one big performance bug was found and fixed, but also a lot of smaller ones. 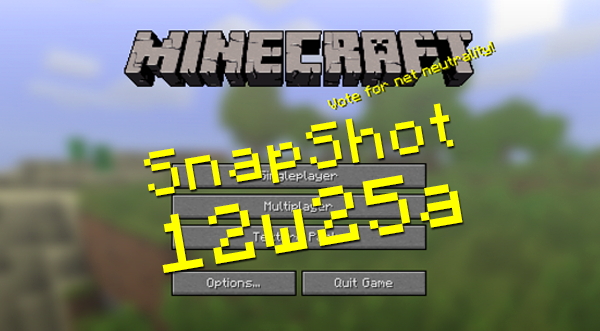 The release of Minecraft 1.3 is getting closer, but we still need to test more before it’s ready. Make sure to check back EVERY Wednesday for a new Weekly Chunk. We probably won’t be doing a video on this snapshot as there is nothing to show really.. I went ahead and copied the info from the Mojang blog for ya. The Yogscast guys pointed out the serious love for steps in the updates recently. This is a mirror of my Minecraft Snapshot 12w25a post on Gamer Euphoria. We have another series for you today. The_SilviaKid and myself (DoneyKebab) give it a try..
We have yet another update to Minecraft. The Ender Chest has been changed to have an inventory per player and not per world. Also, knocking down the chest will break it into 8 obsidian, unless you have Silk Touch. As you know we recently became partnered with Yeousch Alliance. Woop-Woop! Well we have only just got around to doing a series on the channel. So without further adieu lets check it out! I hope you enjoyed this series.. We hope to do more of this in the future.